Mr. Nitish Mittersain is the Managing Director of Nazara. Nazara is a leading branded mobile games developer and publisher reaching out to over a billion mobile phone users in emerging markets of India, Middle East and Africa. Mr. Nitish has more than 18 yrs of experience in the internet and mobile sectors. 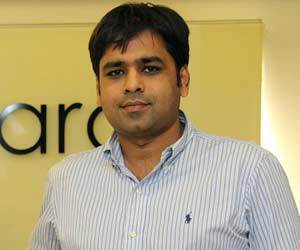 Under his leadership, Nazara has become the top gaming player in India. He pioneered unique services such as 'game club' and 'game fund' to further enhance Nazara's presence in the mobile gaming ecosystem.